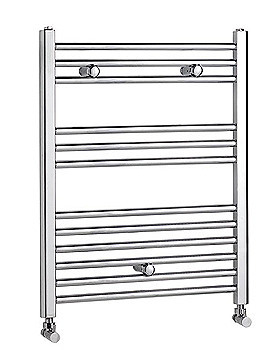 The main purpose of towel rail is to hold and heat towels. As well, they provide an alternative source of heat in smaller bathrooms where larger heating systems may not be a practical solution. Available in a selection of finishes, so you can pick one, which matches your bathroom accessories, or select a completely different colour to add an innovative twist to your interior design scheme. 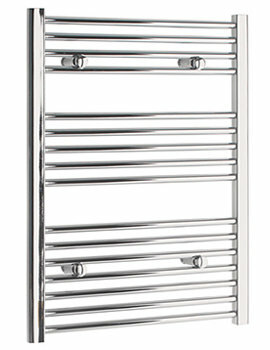 Chrome, stainless steel, brass and white finishes are always popular choices, which look great in many different types of bathroom. They are not only an important practical feature of any bathroom; they can also give an appealing decorative accent that can transform any plain wall. By populating it with bright towels to lend contrasting colour, it is possible to use a bathroom radiator to provide plenty of attractive visual impact, transforming your bathroom from the mundane to the magnificent. At our on-line store, we have an extensive range available in various design styles, offering everything from the simplest to the most glamorous solutions.